The Affluent Rest Gel Memory Foam Mattress from Sweet ZZZ s a 3 layer gel infused memory foam mattress. It uses high end 4 and 5lb memory foam for last durability. 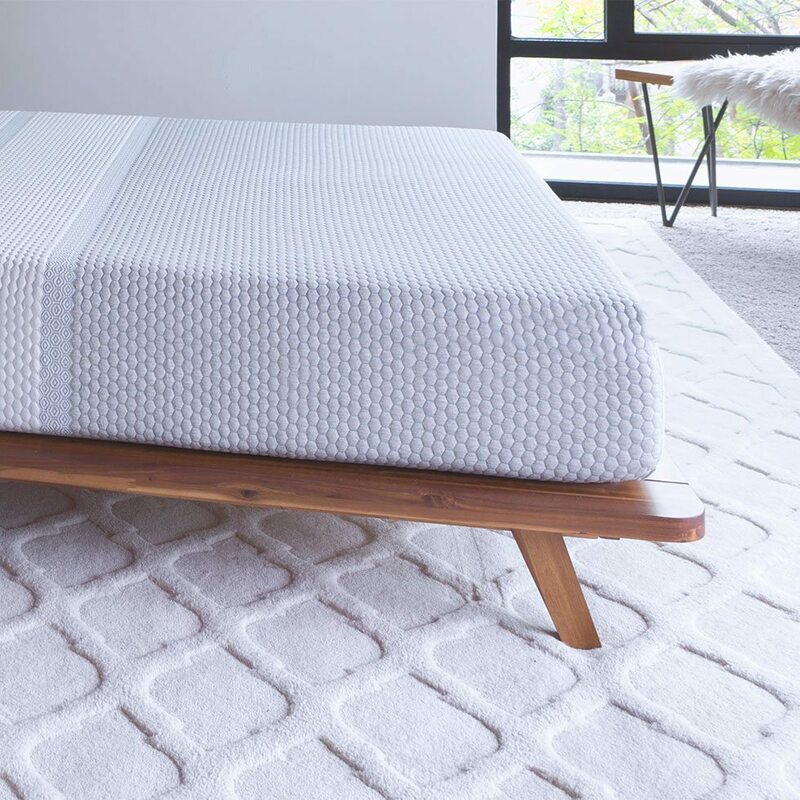 Sweet ZZZ is an increasingly popular online mattress company that recently released not simply one new variety of mattress, but four new types. Their most popular of these four is the Affluent Rest mattress, which we will review for you here. Sleep with a partner. Thanks to the dense layers of memory foam, this mattress is great if you want something that reduces motion transference , which can occur when you or your partner get in and out of bed or change position. Want a comfortable mattress that conforms to your body shape. Thanks to the dense yet supple memory foam that this mattress contains, it’s a great choice if you want a mattress that almost seems to hug your body as you sleep. Want minimal motion transference. Thanks to the three memory foam layers, this mattress is great reducing motion transference from movement. This makes it a great choice for couples, since it means you won’t be disturbing your partner when you get in and out of bed or change position. Want good temperature regulation. Thanks to the specially designed O-cell memory foam layers that help with ventilation and heat dissipation, this mattress is a good choice if you want a memory foam mattress that will stay cooler longer. The cotton cover also helps with the mattresses overall breathability and temperature regulation. Want a mattress that offers both comfort and support. 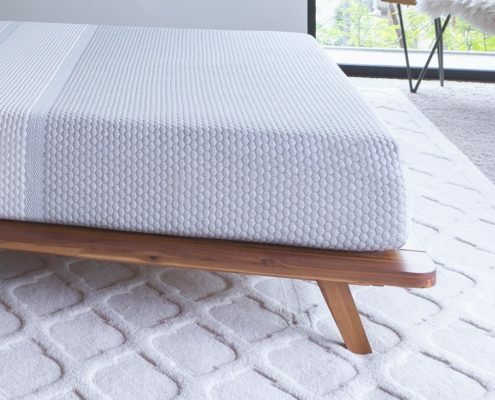 Thanks to its unique design and construction, this mattress emphasizes a medium-firm feel that provides great back support while also offering body-conforming comfort. The great temperature regulation also helps to keep you comfortable while you rest by reducing your chances of getting overheated at night. Do not like memory foam. Since this mattress is made entirely out of memory foam, you will probably not enjoy it if you don’t like the feel of memory foam mattresses in general. Don’t want to spend a lot of money. 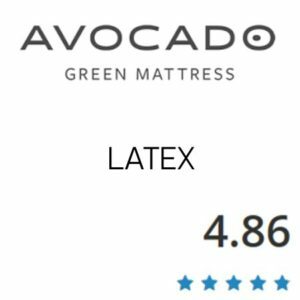 Regrettably, this mattress is on the higher end of spectrum as far as price goes. Many people agree that it is well worth the cost for it’s overall high quality design and effective combination of support and comfort, but if you’re on a tight budget at the moment then it’s probably not a god choice for you right now. Want a very firm mattress. This mattress is, by design, medium-firm. This means that it provides a level of support that is not too hard and not too soft, but somewhere in the middle. While it is firmer than most memory foam mattresses, if you need a firm mattress for back support reasons, you might need a different mattress because this one is too plush and body-conforming to be considered truly “firm”. This mattress will be delivered right to your door approximately five to eight days after your order is received and process. It arrives in a relatively compact box that weighs just under a hundred pounds. Because of the weight as well as the general bulkiness of the box, you will almost definitely need a second person to help you carry this box inside your house and into your bedroom. Once you’ve taken the box to your room, unpacking ti from the box and removing ti from the sealed plastic is very simple and straightforward. Once it’s unpacked, all you need to do is leave it to sit and expand back out to its full size and shape. The exact time your mattress will take to regain its proper shape may vary, but typically it will take somewhere between 12 to 24 hours for the full firmness of the mattress to show. You can sleep on it before then if you really want to, but just bear in mind that it can take up to a day for the mattress to be fully ready. Also, make sure to place your new mattress on a flat and stable surface so that the weight of mattress is fully supported. Because of the compression technology used for packing d shipping memory foam mattresses, this product may have a little bit of off-gassing when you first unpack it. That being said, the aroma should be incredibly faint and dissipate quickly because every single Affluent Rest mattress is made to order, meaning that is made fresh when you place your order and shipped to you as soon as it is finished; this means that it spends very little time compressed and packaged, and as such doesn’t accumulate heavier off-gassing scents like other mattress brands that remain packaged for long periods of time after being created. The Affluent Rest mattress is notable among memory foam mattresses for actually having a very stable perimeter. This is thanks to both the supportive memory foam and the dense foam base layer that this mattress has. A a result of this effective combination, this mattress can provide you with full support from edge to edge, as well as a consistent feel all across the entire mattress. That being said, this mattress does sink a little when bearing weight regardless of the location on the mattress, so don’t be surprised if there is a little bit of sinking on the edges if you are sitting or sleeping there. This is perfectly normal for all memory foam mattresses; there might be a little less support on the edge of the mattress if it bears weight frequently or for long periods of time, but otherwise the difference in support isn’t really noticeable. The Affluent Rest mattress is twelve inches thick, and is made up of three layers of memory foam. The cover of the mattress is made out of natural cotton and is designed to be both soft and breathable for the utmost relaxation and comfort. The breathability also helps to keep the mattress better ventilated and cooler. This cover is also quite durable thanks to being made out of cotton, which is quite a sturdy material. The top layer of foam is two inches of 4lb density O-cell cooling gel memory foam. This layer helps to provide you with great pressure relief as well as tremendous comfort. 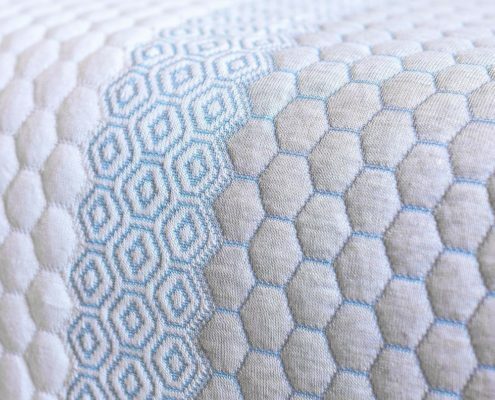 It is also quite durable, and thanks to the unique open cell structure it has (as mentioned above) larger pores than regular memory foam and subsequently has better ventilation and temperature regulation that mattresses made with traditional memory foam. Additionally while this top layer is dense enough to offer you good support, it’s still soft and plush enough that it contours to your body shape for extra comfort and relaxation. The second layer is also two inches thick and is made up of O-cell premium memory foam that has a 5lb density. 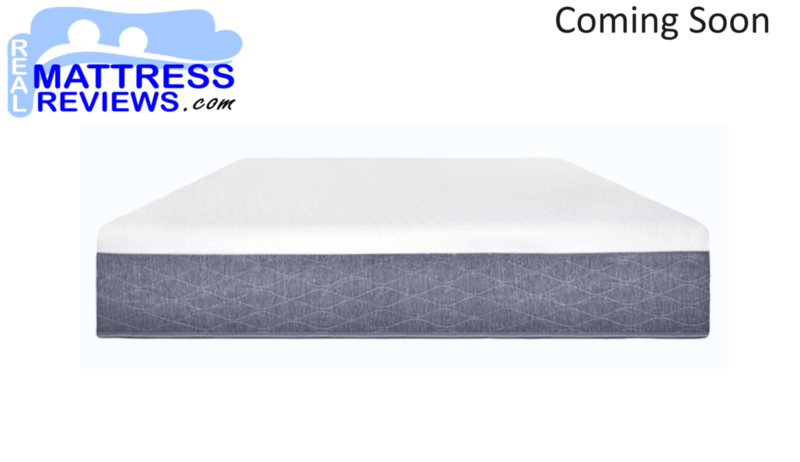 This denser memory foam is specially designed to help provide even weight distribution as well as deep comfort. It also helps provide additional pressure relief for your body, which can help with your overall relaxation and comfort. The final bottom layer of the Affluent Rest mattress is seven inches thick and comprised of ventilated edge support base foam. This foundation layer is designed to provide tremendous levels of support while also remaining stable and durable. This layer is also ventilated, which can help with heat retention and air flow (albeit not quite as effectively a the O-cell layers, which have larger pores). Overall, this mattress is specially designed to provide both comfort and support and is constructed from specially selected materials to help achieve this goal. The Sweet ZZZ Mattress will work great on any solid surface. The floor, platform slats, boxspring/foundation and they now offer an adjustable base as well. The Affluent Rest mattress has also been specially designed to remain cooler longer when compared to other mattresses. 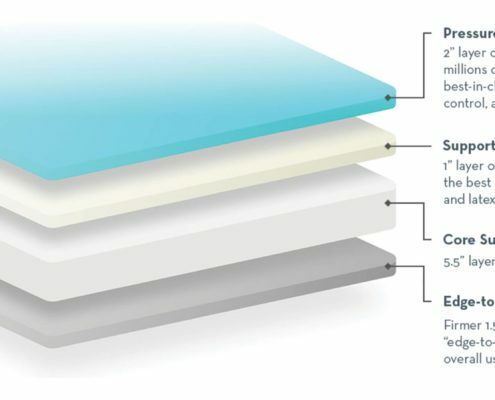 The top layer of this mattress is comprised of a unique O-cell foam that is specially designed to eliminate heat and moisture faster than ordinary memory foam thanks to the larger than average pores in the material. 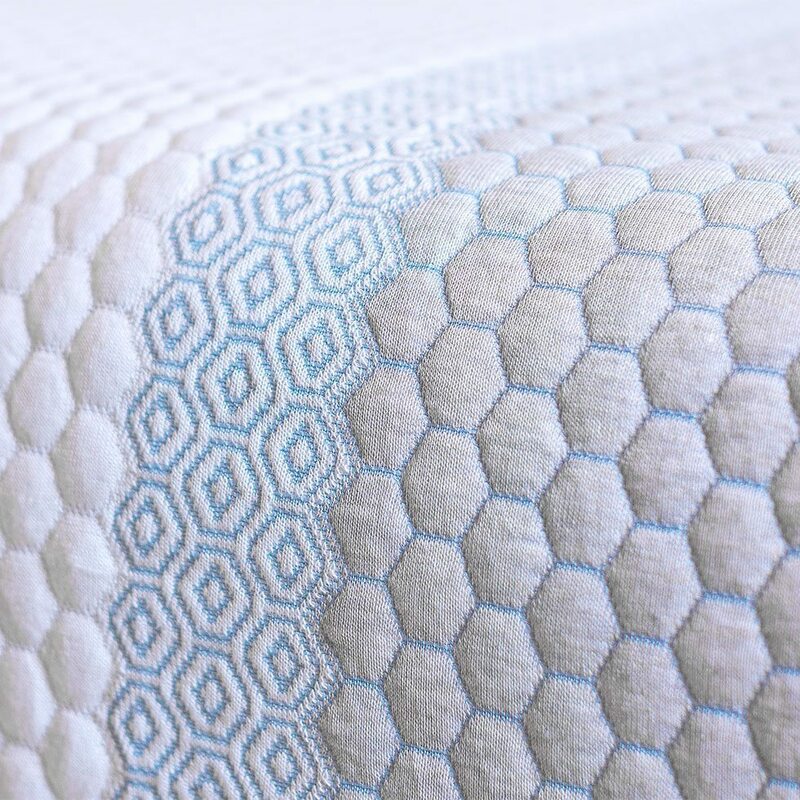 These larger pores allow for better ventilation throughout the entire mattress, helping a great deal with both air flow and heat dissipation. These two qualities combine to help lessen the mattress’s overall heat retention (meaning that heat doesn’t get trapped within the mattress as much compared to other mattresses). Additionally, the medium-firmness of the mattress helps with temperature as well, since the firmness of the mattress means that it will bear less of your body weight (and subsequently absorb less of your body heat) than a softer and more plush mattress that would come into contact with more of your body. That being said, if you do run hot while you sleep you might want to consider purchasing another mattress, because while this mattress has been designed to retain as little heat as possible it is still a memory foam mattress, and memory foam mattresses are notorious for their heat retention qualities; furthermore, this particular mattress possesses an all-foam base, so there are very few ways for heat to escape from the mattress other than through the top layer with its larger pores. Although we didn’t film the Sweet ZZZ Affluent Rest on a base you can be sure it will work fantastic on an adjustable base. This mattress comes with a trial period of one hundred nights (slightly over three months). This trial period is fairly average in regards to trial periods for mattresses bought online, but is still considered to be very generous as far as mattress trials are concerned, since it gives you ample time to decide whether or not the mattress is suitable for your sleep needs. Furthermore, the Affluent Rest mattress comes with a lifetime warranty, meaning that if something goes wrong with your mattress at any time after your purchase it the company will do their very best to resolve the situation to your satisfaction. 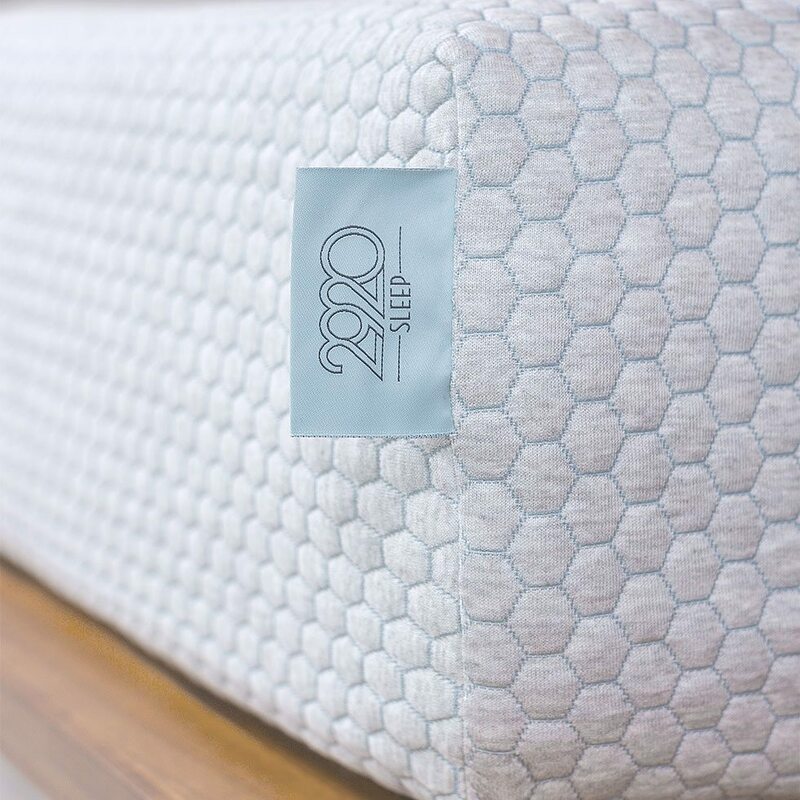 This lifetime warranty is a rarity in the mattress industry, and helps to show that the Sweet ZZZ mattress company is genuinely dedicated to providing you with an excellent product and overall experience. 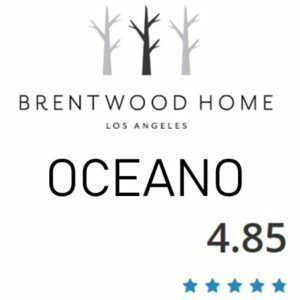 ”I must give the Affluent 5 stars. I love it. My husband moves around a lot in his sleep, but my sleep is no longer disturbed by his movements. I feel good about this company and the product; the whole experience has been pleasant.” -Tracy. 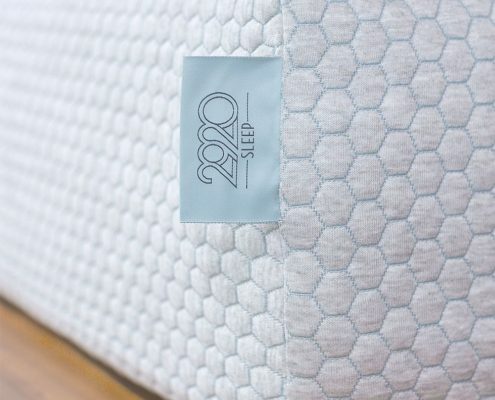 “The best advice I can give anybody considering Sweet Zzz’s products is to read not only the great reviews, but the story behind each mattress. Read and learn about the natural materials, the cooling components, the no harmful chemicals, they have financing and a NO HASSLE return policy, THE LIFETIME WARRANTY is just an awesome incentive for me. With all that said, I purchased the Affluent cool rest gel king mattress. This is by far the best mattress.” – Robin. “The Affluent mattress is such a great deal. It is comfortable. Great support. Cool to sleep in. Best of all it isn’t expensive.” -Evan. “We thought we would need several days to get used to sleeping on the new Affluent, but from the very first night both my husband and I found it so very comfortable, supportive and fresh. 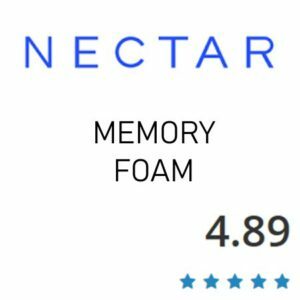 We have heard about the breaking in period on memory foam mattresses odor and feel but we did not have any of these problems. We give it Five Stars. Highly recommended.” – Macy. “I am grateful there are still amazing products such as Sweet Zzz Mattresses being produced right here in the USA. My wife and I just received our Affluent bed yesterday and I must say the first night sleep was probably the best sleep I’ve ever had. Good support, soft enough and not hot at all.” – Jack. “I don’t feel my husband moving about and I wake up feeling well rested!It’s amazing at how well I have slept from the very first night on our Affluent mattress. I am so comfortable the moment I get in bed at night. I no longer wake up soaking wet from being so hot in the middle of the night.” – Lora. As you can see, many people who have tried the Affluent Rest mattress are surprised yet ecstatic over how amazing and effective it is for providing a comfortable yet supportive sleeping experience. Overall, the Affluent Rest mattress from Sweet ZZZ is a great choice if you want a mattress made from high quality materials that is specially designed to provide a medium-firm feel for both better back support and body-conforming comfort while also possessing minimal motion transference, minimal heat transference, and excellent durability. It’s also a good choice if you want a mattress that comes with a lifetime warranty in the event of any problems.